↑USS Long Island (AVG-1). 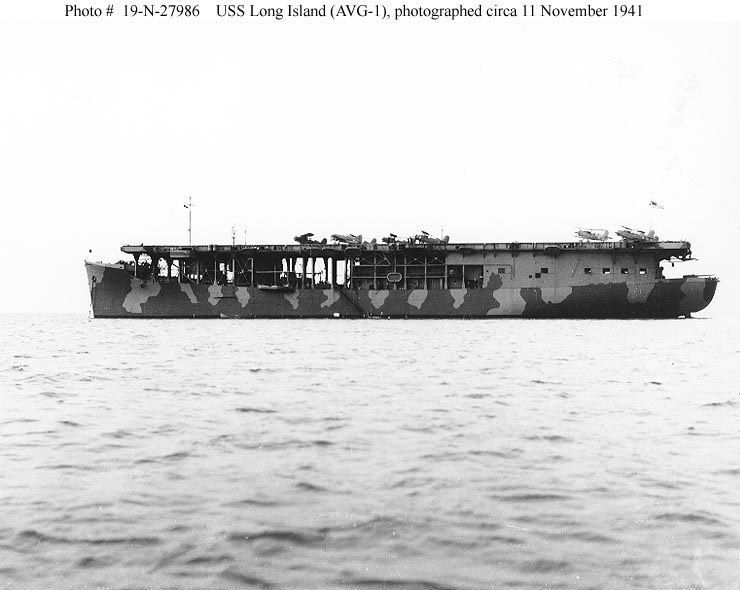 Photographed in Measure 12 (Modified) camouflage, circa 10 November 1941. Planes on her flight deck include seven Curtiss SOC-3A scout observation types and one Brewster F2A fighter. Photograph from the Bureau of Ships Collection in the U.S. National Archives.